Too often we see punters applying the wrong strategy when it comes to choosing the right bookmaker. This strategy can cost you a lot of money in the long term. 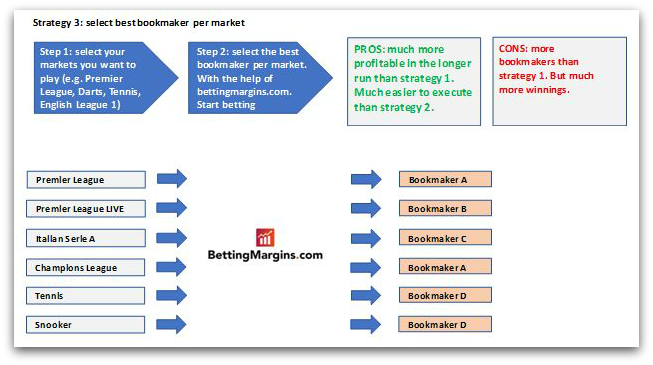 Most punters will decide to work with just one or two bookmakers (strategy 1 in this article) or choose to work with odds comparison sites (strategy 2). Choosing for the 2nd approach is of course much more profitable than the 1st strategy. But it is a big hassle. You need to be very accurate and precise. And it is a lot of work. And it is not necessarily the most profitable strategy. We recommend the 3rd strategy (selecting the best bookmaker per market). Below, we will explain how this works. It is easy to execute and much more profitable in the longer run. Clearly, the 1st strategy is the easiest to apply. But also, by far the least profitable. 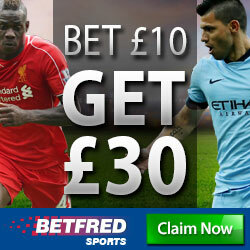 If you wager £ 1000 pounds per year, your winnings will be some £ 30 to £ 50 less. But it cumulates quickly to hundreds of pounds per year if you stake more. Over your lifetime, this amounts easily to thousands of pounds. No welcome bonus can ever compensate for that. Professional punters widely use this strategy. 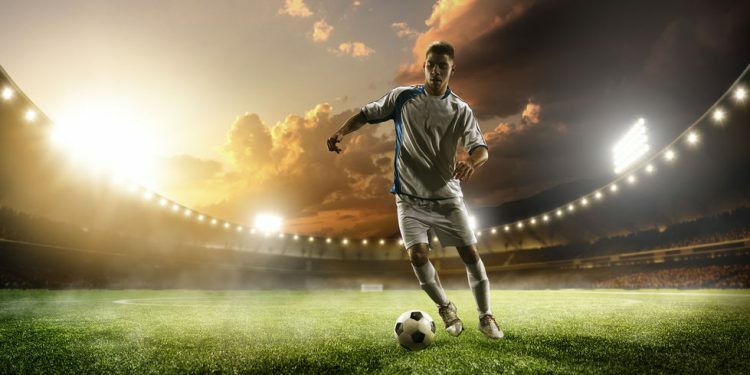 The main advantage is that you get the best odds per match if you apply this strategy consistently. But odds change over time and how do you know that the odds of tomorrow may be better or not? And did you know that certain markets (e.g. the minor football leagues or minor tennis tournaments have worse odds than other markets (e.g. premier league or Champions League or the 4 grand slam tennis tournaments)? And that the differences are significant? Odds comparison sites don’t reveal these differences for you. They only tell you what the best odds are for that one particular match. But the best odds of a game in a particular league may be worse than the average (or even worse) odds of a match in another league. Then you have the burden to monitor everything you have done. If you sit behind a computer at home, you can still manage if you are disciplined and keep track with spreadsheet tools. But what if you bet with your smartphone? It is becoming an administrative nightmare. And you are continuously transferring money from one bookmaker to the other, and it is tough to track and trace results. It is very time-consuming, to say the least. This strategy is much more profitable than the 1st strategy. And it is certainly more efficient than the 2nd strategy. You will most certainly have higher winnings, and it is much easier to execute. So how does it work? You probably already know what your favourite markets are. For example, the Premier League and the Italian Serie A. And maybe you are also a keen LIVE punter. Using Bettingmargins.com, you can find the best bookmakers per market. We have calculated for each market and each bookmaker (and each type of bet and each day) the average payout percentages. 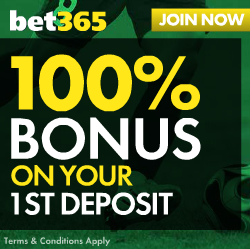 If for example, a payout rate equals 96%, this implies that you will be paid out £ 96 on average for every £ 100 you wager. Afterwards, you use your favourite bookmaker per market. It is, therefore, a very easy exercise. And using this strategy will at least be as profitable as the 2nd strategy. It is very easy to increase your winnings, just by selecting the best bookmaker for each of your favourite markets. Betttingmargins.com can help you in finding the best bookmakers per market. Probably, while you are looking for the best bookmakers, you will also find out that some markets are much more attractive than others. Differences are huge. Therefore, it is more than worthwhile to have a look. It can increase your winnings by hundreds or even thousands of pounds.